Our last night in Washington, D.C. ended just before midnight. We headed back to our car having not eaten since lunch time, but it was almost midnight on a Sunday night so I assumed our options were limited. We were driving down 7th Street heading back to our hotel and passed a few restaurants but other than McDonalds, all were closed. As we hit the intersection of 7th and I Street, I saw lights on inside a restaurant so I quickly pulled over and Googled to see how late they were open. We had about another hour, so we made the decision to eat before heading back to the hotel for the night. 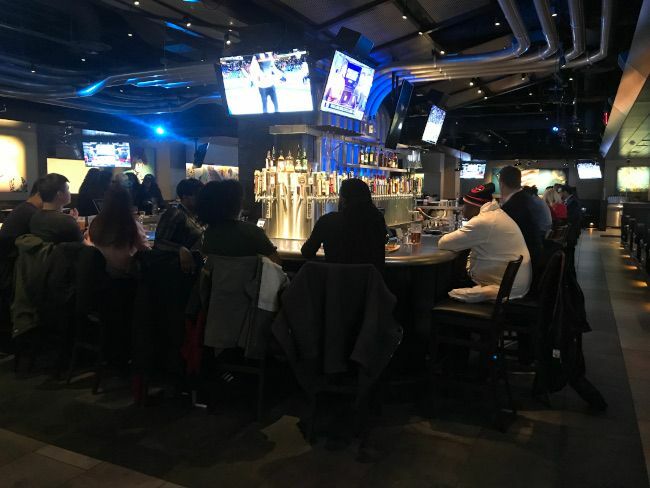 Yard House is a chain of upscale sports pubs based in California and owned by Darden Restaurants. Most of the stores are west of the Mississippi and located in large cities. Here in Michigan, there is one in Troy. 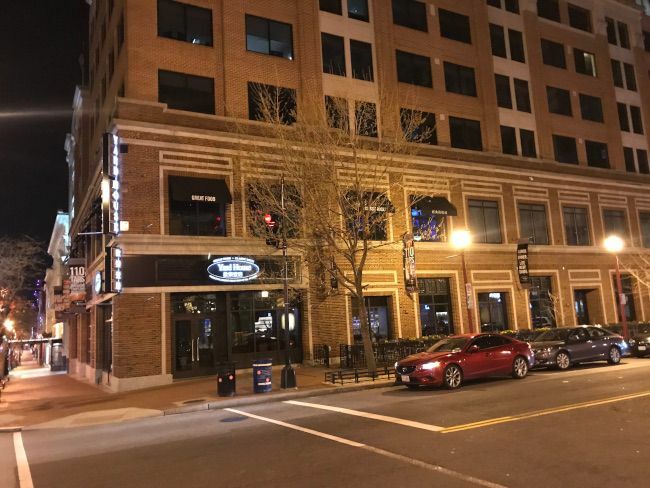 The D.C. location is in Chinatown somewhat near Capital One Arena where there are lot of similar type pubs. The restaurant is right on the corner of a multi-story mixed used building. Parking is whatever you can find in the area. There are some garages as well as on street spots. The pub is dimly lit relying on natural lighting during the day. 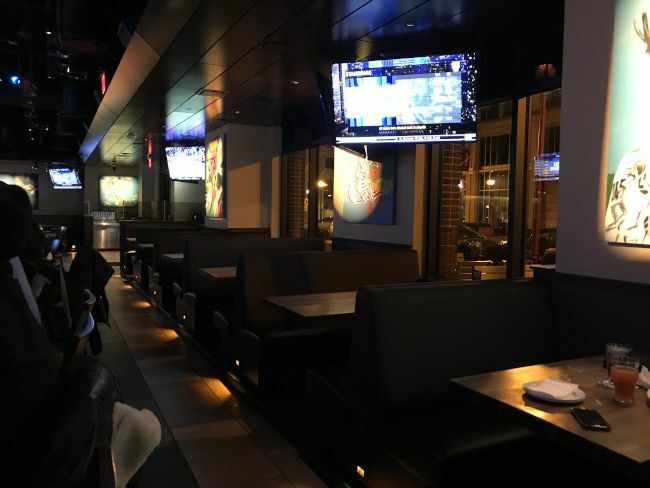 There’s a combination of booth and table seating around a large rectangular bar in the middle of the space. My co-worker and I found a couple of seats open at the bar so we bypassed the hostess and took a seat. The bar was pretty packed for being as late as it was on a Sunday night but there were a lot of groups watching the TV’s that hang above the bar every few feet. 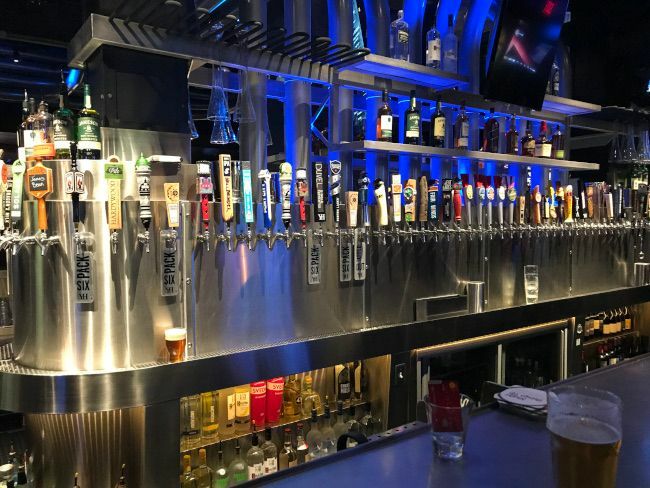 Yard House brags about having the “World’s Largest Selection of Craft Beer.” They have a great selection but I would question that after eating at El Bait Shop in Des Moines, IA just a week prior to this meal. The book of beers on draught is pretty large. I didn’t get too far past the IPA’s. It was late and I just wanted something refreshing. 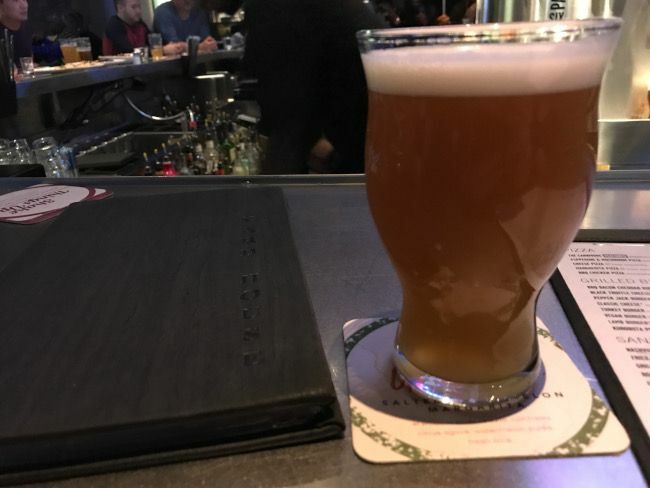 The first beer I picked was Freestyle Alliance from Brew Republic Bierwerks in nearby Wooodbridge, VA. When it got to dinner time, I was ready for a second beer. I just picked one I could see the tap on the wall in front of me. The Corruption by DC Brau Brewing Company just kind of jumped out at me. I figured before this trip ended, I needed to have a beer from a brewery actually in the District of Columbia. We assumed when we walked in that we’d be limited to some late night appetizer menu but we must have made it in just before the kitchen closed. The bartender handed us a couple of menus and told us they do have a late night happy hour menu but the whole menu was available. I hadn’t eaten since about 11:00 AM so I was pretty hungry. I picked the Black Truffle Cheeseburger. 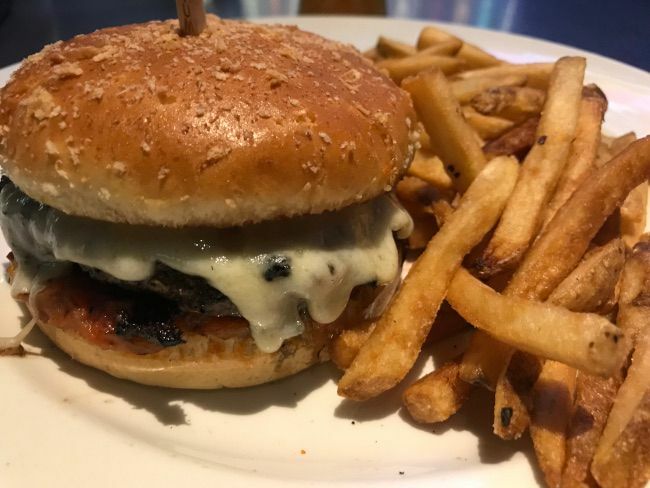 The grilled burger is topped with a house made truffle cheese and a tomato bacon onion jam. The jam wasn’t too noticeable and that’s a good thing for a guy who doesn’t love onions. It was there but the grilled burger was the dominate flavor alongside the toasted bun. Every so often I’d get that hint of truffle from the cheese but it too was not a dominating flavor. The sandwich came with some delicious fresh cut fries that came out that delicious golden brown. They needed a little more salt but other than that, these were fries you could eat without condiments. My bill for dinner was a little under $25. 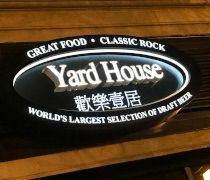 I can’t tell you how happy we were that Yard House was open and was still serving a full dinner menu. We really thought we were going to bed hungry. Yard House was such a delicious way to end the day. 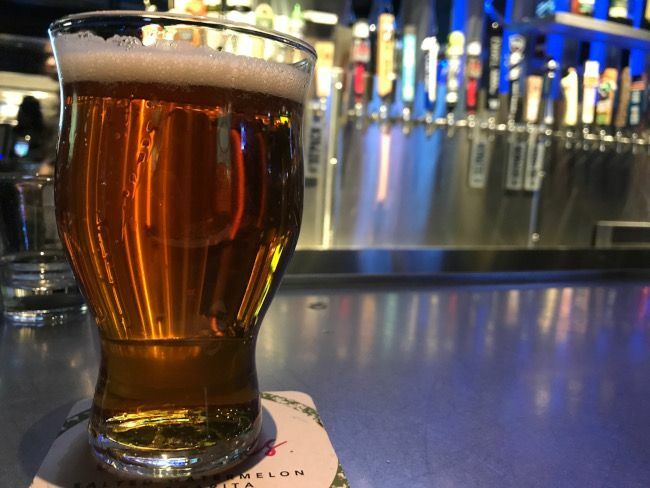 They have a great tap list if you’re in to craft beer…and you know I am…and the food was far above that of a typical chain restaurant and much better than anything I’ve ever had from a Darden Restaurant.